During the annual National Association of Broadcasters (NAB) trade show in Las Vegas, Adobe showed off a couple of upcoming Creative Cloud-based video tools. Of particular interest was a Character Animator which does exactly what its name suggests. As Forbes notes, the Character Animator is capable of taking a user’s character illustrations and adding real-world physics to them. 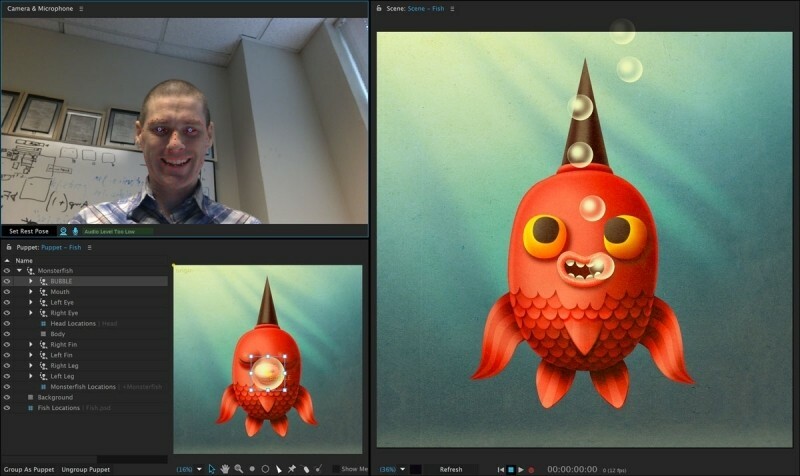 Adobe isn’t exactly covering new ground here but what is new is the ability to use a webcam to track your movements and facial expressions and apply them to a character illustration in real-time. The embedded video demonstrates exactly what is possible here. As you can see, the animated characters move from side to side, front to back and look around in tandem with the user. Mouth movements are also mimicked and it can even pick up eye blinks, eyebrow movements, smiles and so on. For the most part, the animations look spot-on although the mouth movements could be improved upon a bit. Even still, this looks like an excellent way for more people to get into animation without spending a ton of money and time on complex methods like keyframing. Adobe first previewed this feature at its MAX conference last October. It’s still not quite ready for prime time but the company is releasing a preview version of it to Creative Cloud subscribers.